Greg and I just wanted to say thank you for preparing such a thoughful and thorough report for us. We feel comfortable moving forward with our purchase. Thanks for the excellent inspection! I have not read through the report in detail, but I have skimmed it. I can tell already that it is of stellar quality – thorough, clearly written, thoughtfully designed, and exceedingly helpful in the detail of its recommendations. Thank-you for taking the time to meet with Aren and I yesterday, and go through the house. 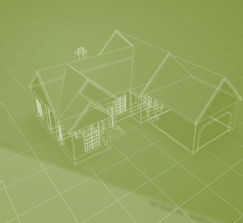 We think you are very thorough, and it really helps us gain a greater understanding of the house we hope to purchase. Thank you very much for the timely report. This will not only prove useful during the purchasing phase, but we will also use it to schedule repairs that are needed. We appreciate it. Thank you for sending the report. It is extremely interesting, well organized, well presented, and thorough. It will be very useful now and over time if this deal works out. I was a little surprised at the generally positive tone of the report because when we were at the house I was getting overwhelmed by the numerous little problems that showed up. But I understand that many of those problems are to be expected in an older house. On first reading I don't have any specific questions, but if some come up I will get in touch with you. 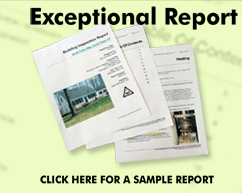 I received all of the reports/messages that you sent about the inspection, water, radon. The safety issues have been taken care of by the owners. We should be all set for closing in March. I appreciate the excellent, thorough job that you did and I will certainly recommend your service to others in the future. Thanks! I just wanted to let you know that my sister and her husband Chris were very impressed with your prompt and professional service for the home inspection on the Westminster house in Burlington – You did inspections for our house nearby and also on the Willard Street property we recently sold. Everyone involved, us included, has been very happy with your work. I just wanted you to know that I appreciate the work you’ve done and the way you’ve done it; we certainly won’t hesitate to recommend you to others.. . Thanks Sean, we'll take a look and let you know if we have any questions? Thanks again for your detail and thoroughness! It was a real pleasure sharing a couple of hours with you in the condo complex today. Nancy and I appreciate your professional and thorough approach to the task of inspecting, and we learned a lot along the way. Thanks again and have a safe and happy trip to your son's graduation in Florida. Thank you, your report is very thorough and easy to read. I appreciate your inspection!! Thanks! I mailed you a check today for the inspection, sorry for my delay. Also thank you for responding so quickly to my request in doing the inspection. I will be sure to refer you on to anyone that asks me about inspectors.